Consider any listing on this page active. We will continue to post future opportunities here as they arise. The Common offers internships for Amherst College students. Working full-time over the summer and interterm and part-time during the school year, interns critically evaluate submissions; write, edit, and proofread prose and poetry; create multimedia web features; write and design publicity materials; develop, organize, and staff innovative events on campus and across the country; and analyze magazine production and distribution strategy. More than 40 Amherst students have participated in The Common‘s Literary Publishing Internship since the magazine launched in 2011. Former interns have gone on to publish novels, win Watson Fellowships, study literature at competitive graduate programs, and work at nonprofit organizations and literary publishers around the world. The Common Literary Publishing Internships typically begin with a summer term, hiring for which is posted on Handshake and with the Career Center in March each year. Occasionally, vacancies open at other times, and will be posted and advertised accordingly. The Common invites those interested in the world of literary publishing and passionate about contemporary fiction and nonfiction to apply to join our Reading Staff. Volunteer readers evaluate short works of fiction as well as essays; readers must be open-minded yet analytical. They must judge, quickly and thoroughly, the literary merit of each submission and the rightness of its fit for The Common given its sense-of-place mission. Readers are expected to review an average of 12 stories per week. We welcome undergraduate and MFA students as well as avid, sophisticated readers of all kinds. Interested applicants should be thoroughly familiar with work published in The Common. All pieces published in print and online content are available in our digital archive. Ideal candidates will have demonstrated skill and experience in critical reading and comprehension, and must be concise and articulate writers. Candidates must be able to read and review 12 pieces per week. Please click here to express your interest in the reading staff position. You will be asked for contact information as well as a CV and cover letter outlining why the position appeals to you and any relevant experience. The next step for qualified candidates is evaluating two test pieces. The Common’s reading team is currently at capacity, so candidates will be vetted and added to our reading team wait list. September 2018 marked one year after Hurricane María devastated Puerto Rico, striking an island already in the thick of political and economic instability and causing an estimated 4,645 deaths. In the storm’s aftermath, many wondered: “What is the role of art in times of tragedy? 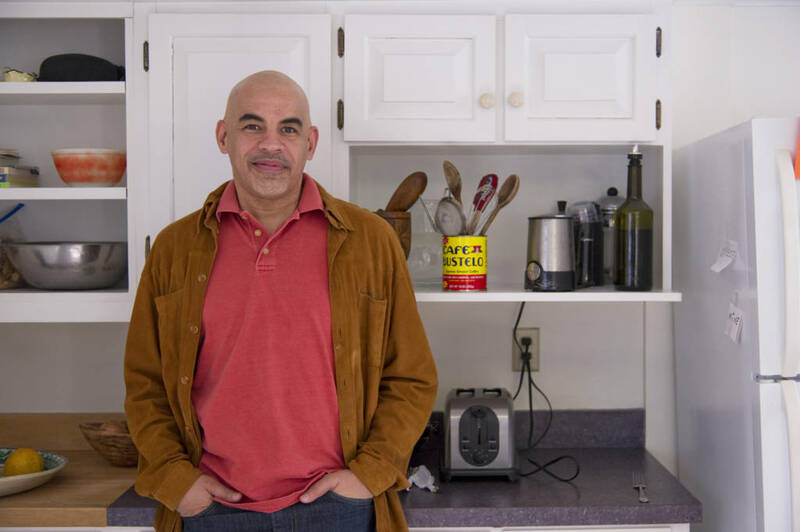 What should writers and artists do with their talents?” THE COMMON’s Issue 16 features a special portfolio of Puerto Rican writers and artists that recognizes the vibrancy of literary and visual arts both on the island and in the diaspora. Issue 16’s portfolio De Puerto Rico: Un año después de la tormenta / From Puerto Rico: One year after the storm celebrates the resilience and talents of Puerto Rican writers working in a variety of genres. In March 2018, Editor-in-Chief Jennifer Acker spent a week in San Juan interviewing and collaborating with writers, artists, and performers. “Hurricane Maria was not merely a setback or temporary disaster,” she writes in an essay published in LitHub in September. “The threat was existential. Would the island ever recover enough to support full lives and future generations?” These finely curated pieces explore this and many other questions related to the storm and its aftermath. Mara Pastor’s poems appear in both Spanish and English, celebrating the beauty of her verse in two languages. In addition to these poems, two essays appear bilingually, and the issue features a number of works translated into English for the first time. While the portfolio explores the harsh details of post-hurricane life in Puerto Rico, it also showcases the strength and beauty of the island. In renowned artist Adál’s photo series Los ahogados / Puerto Ricans Underwater, a woman submerged in a bathtub holds a smiling baby above the water. In another photograph, from his series Los dormidos / The Sleepers, a couple sleeps curled around a can of gasoline, the woman’s head on a pillow of ice. “Santurce, Un Libro Mural / Santurce: A Mural Book” brings to the page a collaboration by writer Francisco Font-Acevedo and artist Rafael Trelles currently installed on the streets of Santurce, the most populous and artsiest barrio of San Juan. Sergio Gutiérrez Negrón tells the story of Bimbo, a shy man who learns to love himself and the sea in “People Who Go to the Beach Alone.” National Book Critics Circle Award Finalist Willie Perdomo’s “We Used to Call It Puerto Rican Rain” is an ode to the island’s tropical weather and to its inhabitants. 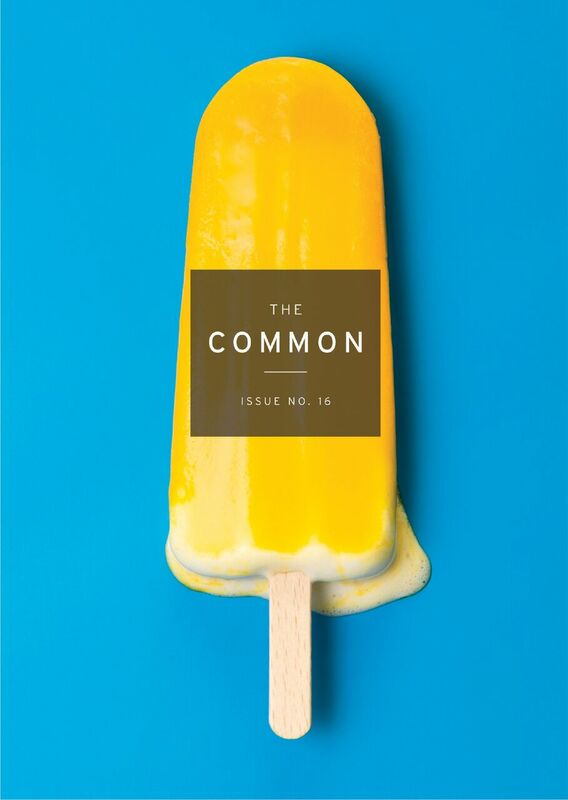 Also included in Issue 16 are THE COMMON’s characteristically diverse, place-centric short stories, essays, and poems, including work by: David Lehman, series editor for The Best American Poetry and Rhode Island Poet Laureate Tina Cane; as well as up-and-coming poets like Kristina Faust, winner of the 2018 DISQUIET Literary Prize for poetry. Mindy Misener’s debut story “Baby Was Not Fine” recounts a summer job, an act of violence, and the haunting actions we can’t take back. PEN/Robert J. Dau Debut Short Story Prize-winner Ben Shattuck’s story “The History of Sound” ruminates on the connections that grow from a shared love of music. In “Land Not Theirs,” Madison Davis reflects on her experiences growing up in, and growing out of, Black churches. Lisa Chen, winner of a 2018 Rona Jaffe Foundation Writer’s Award, explores Susan Sontag’s “Project for a Trip to China” and ruminates on the death of Chen’s estranged father. Featuring Puerto Rican writers and translators Ana Teresa Toro, Sergio Gutiérrez Negrón, María José Giménez, and María Luisa Arroyo Cruzado. 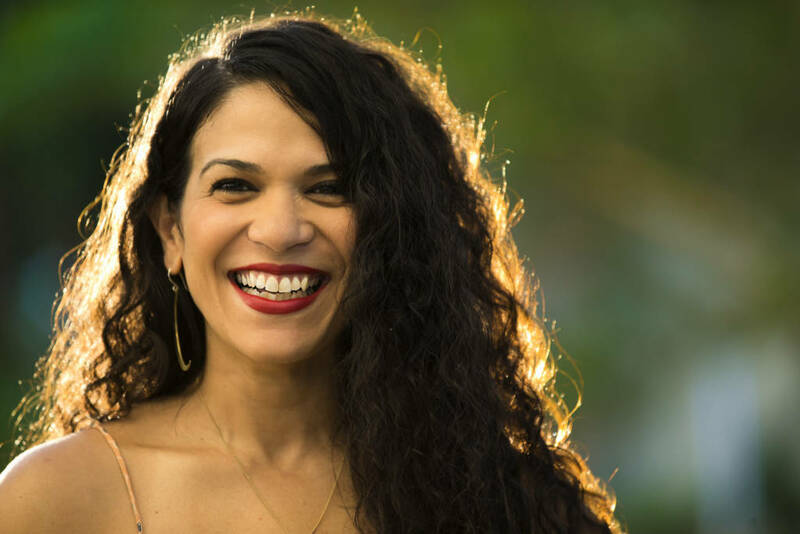 Filmmaker Michelle Falcón will screen her documentary film PROMESA, which tells the stories of people affected by Puerto Rico’s economic crisis. Free and open to the public. Dinner provided. Brief readings by and conversation with Puerto Rican writers and translators Ana Teresa Toro, Sergio Gutiérrez Negrón, María José Giménez, Willie Perdomo, and María Luisa Arroyo Cruzado, moderated by The Common Editor in Chief Jennifer Acker. Followed by a wine reception at 8:30. AgitArte is an organization of working class artists and cultural organizers that creates projects and practices of cultural solidarity with grassroots struggles against oppression, and proposes alternatives for transforming our world. Four members of AgitArte—Jorge Díaz Ortiz, Dey Hernández, Sugeily Rodríguez Lebrón, and Agustín Muñoz Ríos—will give a series of campus and community presentations, including Solidaridad y sobrevivencia para nuestra liberación / Solidarity and Survival for Our Liberation, a recent cantastoria created in the aftermath of Hurricane María, and End the Debt! Decolonize! Liberate! Scroll Project, a collaboratively produced, collectively experienced art object that visually unfurls a history of colonialism and resistance in Puerto Rico. AgitArte’s residency takes place in conjunction with the installation The Museum of the Old Colony by artist Pablo Delano, on view in the Hampshire College Art Gallery until November 11. 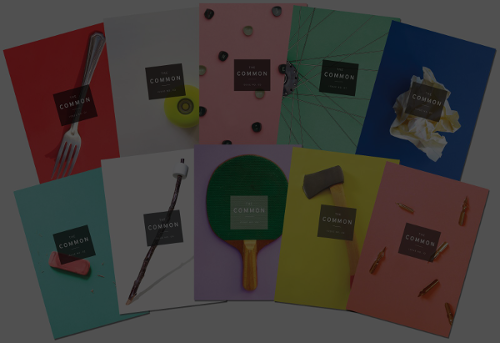 An award-winning print and digital literary journal published biannually, The Common includes short stories, essays, poems, and images that embody a strong sense of place. 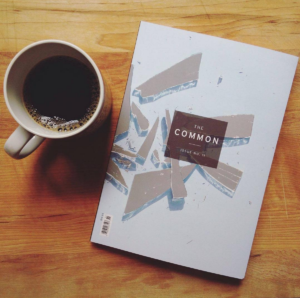 The Common Online publishes original content weekly, including book reviews, interviews, personal essays, short dispatches, poetry, contributor recordings, and multimedia features. Based at Amherst College, the magazine is a joint venture between the College and The Common Foundation, a 501(c)(3) nonprofit. 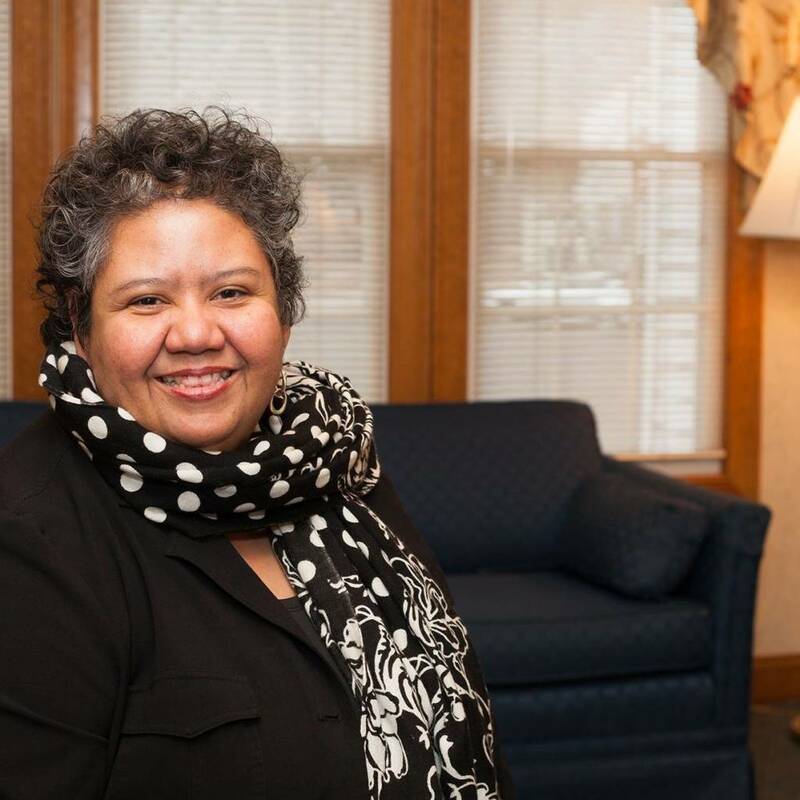 The Common also runs the Literary Publishing Internship at Amherst College, mentoring students in all aspects of literary publishing, and regularly hosts public programming. This post is for testing various stuff.